The Type 058 minesweeper is a Chinese riverine minesweeper developed for the People's Liberation Army Navy (PLAN), and by the early 2010s, it has already been retired from active service from PLAN. In 1967, PLAN begun development of a class of riverine minesweeper to counter magnetic mines, and it was decided to adopt a low-magnetic hull for the minesweeper, utilizing the manganese-aluminum based low magnetic steel. The first unit was completed by Jiangnan Shipyard in 1971, and subsequently, three more were completed. However, due to the Chinese industrial and technical capability at the time, processing the manganese-aluminum based low magnetic steel to the requirement was extremely difficult and costly, and after completing four minesweepers, no more units were ordered despite the relatively successful service in PLAN. It was decided to develop a fiberglass-hulled minesweeper, Type 7102 minesweeper as a successor of Type 058. ^ "Type 058 minesweeper". Retrieved October 14, 2013. Liaoning is the first aircraft carrier commissioned into the Peoples Liberation Army Navy Surface Force. 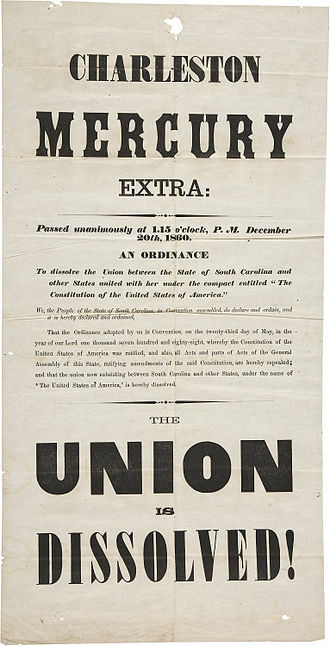 It is classified as a ship, intended to allow the Navy to experiment. Originally laid down in 1985 for the Soviet Navy as the Kuznetsov-class aircraft cruiser Riga, she was launched on December 4,1988, after the dissolution of the Soviet Union in 1991, construction was halted and the ship was put up for sale. The stripped hulk was purchased in 1998 and towed to the Dalian naval shipyard in northeast China, the ship was rebuilt and commissioned into the Peoples Liberation Army Navy as Liaoning on September 25,2012. Its Chinese ship class designation is Type 001, in November 2016, the political commissar of Liaoning, Senior Captain Li Dongyou, stated that Liaoning was combat ready. 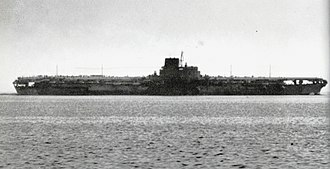 The Kuznetsov-class ships were designated by the Soviet Navy as тяжёлый авианесущий крейсер tyazholiy avianesushchiy kreyser heavy aircraft-carrying cruiser. In addition to aircraft, the ships were designed to carry P-700 Granit anti-ship cruise missiles that form the main armament of the Kirov-class battlecruiser. This multirole capability was important, as it allowed the ships to pass through the Turkish Straits between the Black Sea and the Mediterranean Sea. Under the Montreux Convention, aircraft carriers are restricted to 15,000 tons, the Chinese Navy considers Liaoning to be an aircraft carrier. Since China is not located on the Black Sea, it does not need, the ship was completed as an aircraft carrier, and cruise missiles were never installed. Liaoning is equipped only with air defense weapons and must use its aircraft for surface attack, the ship was laid down as Riga at Shipyard 444 in Mykolaiv, Ukrainian SSR, on December 6,1985. Design work was undertaken by the Nevskoye Planning and Design Bureau, launched on December 4,1988, the carrier was renamed Varyag in late 1990, after the famous cruiser. When the Soviet Union collapsed in 1991, the ship was put up for sale, Ukraine approached China and Russia as potential buyers. China sent a delegation in 1992, which reported that the ship was in good condition. Air-independent propulsion is any marine propulsion technology that allows a non-nuclear submarine to operate without access to atmospheric oxygen. AIP can augment or replace the diesel-electric propulsion system of non-nuclear vessels, the United States Navy uses the hull classification symbol SSP to designate boats powered by AIP, while retaining SSK for classic diesel-electric attack submarines. Modern non-nuclear submarines are potentially stealthier than nuclear submarines, a nuclear reactor must constantly pump coolant. Non-nuclear submarines running on battery power or AIP, on the other hand, AIP is usually implemented as an auxiliary source, with the traditional diesel engine handling surface propulsion. Most such systems generate electricity which in turn drives a motor for propulsion or recharges the boats batteries. The submarines electrical system is used for providing hotel services—ventilation. AIP can be retrofitted into existing submarine hulls by inserting an additional hull section, AIP does not normally provide the endurance or power to replace atmospheric dependent propulsion, but allows longer submergence than a conventionally propelled submarine. A typical conventional power plant provides 3 megawatts maximum, and an AIP source around 10% of that, a nuclear submarines propulsion plant is usually much greater than 20 megawatts. In the development of the submarine, the problem of finding satisfactory forms of propulsion underwater has been persistent, mechanically driven vessels used compressed air or steam, or electricity, which had to be re-charged from shore or from an on-board aerobic engine. 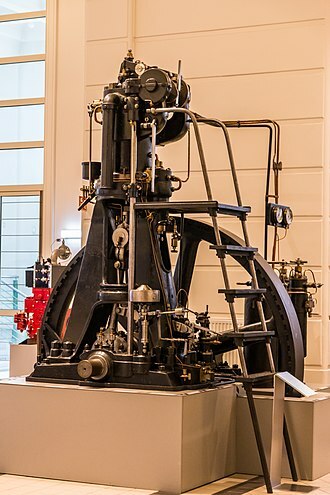 The earliest attempt at a fuel that would burn anaerobically was in 1867, in 1908 the Imperial Russian Navy launched the submarine Pochtovy which used a gasoline engine fed with compressed air and exhausted under water. 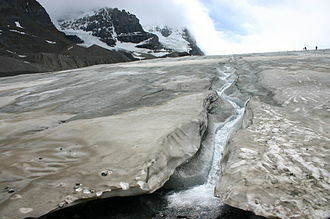 These two approaches, the use of a fuel that provides energy to a system. During World War II the German firm Walter experimented with submarines that used concentrated hydrogen peroxide as their source of oxygen under water. These used steam turbines, employing steam heated by burning fuel in the steam/oxygen atmosphere created by the decomposition of hydrogen peroxide by a potassium permanganate catalyst. Several experimental boats were produced, though the work did not mature into any viable combat vessels, one drawback was the instability and availability of the fuel involved. An attack submarine or hunter-killer submarine is a submarine specifically designed for the purpose of attacking and sinking other submarines, surface combatants and merchant vessels. In the Soviet and Russian navies they were and are called multi-purpose submarines and they are used to protect friendly surface combatants and missile submarines. Some attack subs are armed with missiles mounted in vertical launch tubes. Attack submarines may be either nuclear-powered or diesel-electric powered, in the United States Navy naming system, and in the equivalent NATO system, nuclear-powered attack submarines are known as SSNs and their diesel-electric predecessors were SSKs. In the US Navy, SSNs are unofficially called fast attacks, in the action of 9 February 1945, HMS Venturer sank U-864 while both were at periscope depth. This was the first and so far only intentional sinking of a submarine by a submerged submarine. Following World War II, advanced German submarines, especially the Type XXI U-boat, became available to the Allies, particularly the United States Navy and the Soviet Navy. 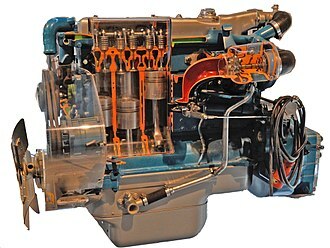 In the US Navy, the Greater Underwater Propulsion Power Program was developed to modernize World War II submarines along the lines of the Type XXI. It was realized that the Soviet Union had acquired Type XXI and other advanced U-boats, the projected US SSK force levels for these scenarios were 250 for the former and 970 for the latter. Additional anti-surface, guided missile, and radar picket submarines would be needed, by comparison, the total US submarine force at the end of World War II, excluding obsolescent training submarines, was just over 200 boats. A small submarine suitable for production was designed to meet the SSK requirement. This resulted in the three submarines of the K-1 class, which entered service in 1951, at 750 long tons surfaced, they were considerably smaller than the 1,650 long tons boats produced in World War II. They were equipped with a passive sonar, the bow-mounted BQR-4. 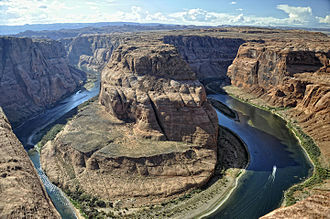 Initially, a sonar located around the tower was considered. While developing the purpose-built SSKs, consideration was given to converting World War II submarines into SSKs, the less-capable Gato class was chosen for this, as some of the deeper-diving Balao- and Tench-class boats were being upgraded as GUPPYs. Jiangnan Shipyard is a historic shipyard in Shanghai, China. The shipyard has been state-owned since its founding in 1865 and is now operated as Jiangnan Shipyard Co. Ltd, before 2009, the company was south of central Shanghai (at 2 Gaoxing Road. In 2009, the shipyard was moved to Changxing Island, in the mouth of the Yangtze River to the north of urban Shanghai, the shipyard builds and converts both civilian and military ships. 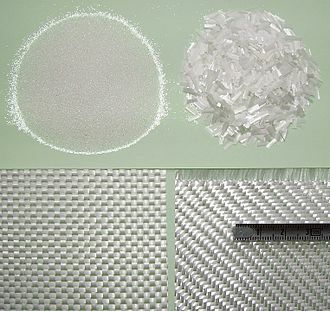 Other activities include the manufacture of machinery and electrical equipment, pressure vessels, the origins of the Jiangnan Shipyard lie in the Self-Strengthening Movement of the late 19th century in China, during the Qing Dynasty. 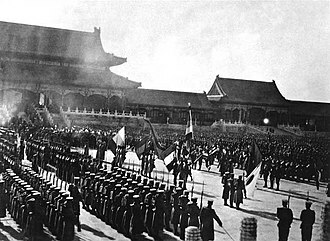 One of the projects in this campaign of modernisation was the establishment of defence industries, plans for the arsenal were established under Zeng Guofan, who served as Viceroy of Liangjiang, although its actual establishment became the responsibilities of Li Hongzhang. The Chinese name of the Kiangnan Arsenal was the General Bureau of Machine Manufacture of Jiangnan and it was established to both manufacture firearms and build naval vessels. 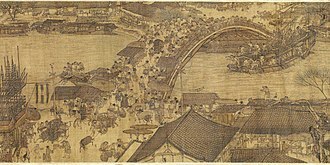 The shipyard and machinery were initially leased from Thomas Hunt and Company, a series of high officials, including Zeng Guofan, Zuo Zongtang, and Zhang Zhidong, served as its head, although Li Hongzhang served the longest term during the Qing Dynasty. 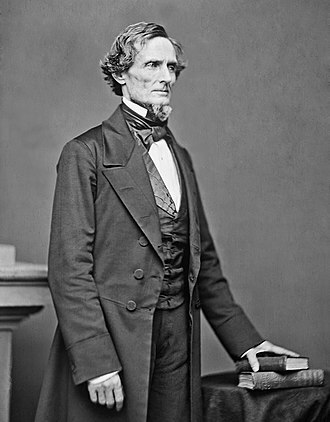 Most of the technical staff were Westerners, such as the first chief engineer. 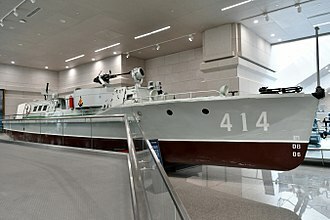 During the Tongzhi era, the Arsenal was the largest weapons factory in East Asia, among its other achievements were the first domestically produced steam boat in 1868 and the first domestically produced steel in 1891. As well as its works, the Arsenal comprised a language school, a translation house. In 1905, the operations of the Kiangnan Arsenal were de-merged into the separate Kiangnan Shipyard. In the 1920s Kiangnan built six new river gunboats for the US Navys South China Patrol on the Yangtze River, the remaining arms manufacturing arm of the Kiangnan Arsenal operated until its dissolution in 1937, at the outbreak of the Second Sino-Japanese War. The shipyard was evacuated to Chongqing and re-established as the Chongqing Shipyard, large parts of the assets of both the Arsenal and the Shipyard were left behind in Shanghai to be occupied by Japanese forces during the war. HMS Aurora was an Arethusa-class light cruiser of the Royal Navy. She was built by Portsmouth Dockyard, with the keel being laid down on the 27 July 1935 and she was launched on 20 August 1936, and commissioned 12 November 1937. Aurora served with the Home Fleet from completion as Rear Admiral, in September 1939 she was with the 2nd Cruiser Squadron, escorting convoys to Scandinavia and engaged in the hunt for the German battleships Scharnhorst and Gneisenau. From October 1940 she was commanded by Captain William Gladstone Agnew, between July and August 1941, as part of Force K with the Home Fleet, she was involved in operations to Spitzbergen and Bear Island. 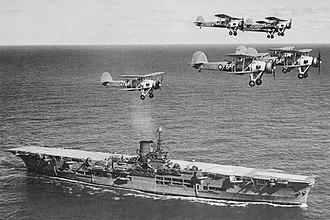 After one of these sorties, in company with the cruiser Nigeria, she intercepted a German troop convoy off Northern Norway, in the autumn she was transferred to the Mediterranean and arrived in Malta on 21 October 1941 to join a new Force K. On 9 November 1941 leading Force K consisting of HMS Penelope, HMS Lance and HMS Lively, the Italian destroyers Grecale and Euro are damaged. The Axis convoy is bound from the Aegean to Bengasi, the two German transports in the convoy Maritza and Procida are both sunk by HMS Penelope and HMS Lively despite the presence of the Italian torpedo boats Lupo and Cassiopea. On December 11941 Force K with HMS Penelope and HMS Lively attacked the Mantovani Convoy, Italian destroyer Da Mosto and the sole cargo ship Mantovani were sunk. HMS Aurora participated in the first battle of Sirte on December 17,1941, on 19th December while steaming off Tripoli she was heavily damaged in a mine field and was forced to retire to Malta. After her return to the Mediterranean she joined Force H, and in November was part of the Centre Task Force for the Landings in North Africa, Operation Torch. Off Oran, she engaged the Vichy French destroyers Tramontane and Tornade on 8 November 1942, sinking the latter, the following day she badly damaged the destroyer Épervier and drove her ashore. By December she was operating as part of Force Q at Bône against the Axis evacuation, then, as a unit of the 15th Cruiser Squadron, she participated in the invasion of Sicily and the Salerno landings before moving into the Aegean in October 1943. Project 629, known by the NATO reporting name of Golf class, were diesel electric ballistic missile submarines of the Soviet Navy. 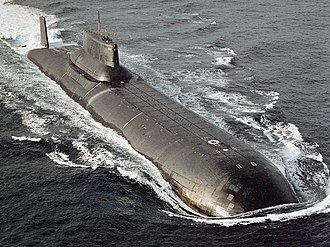 They were designed after six Zulu class submarines and were modified to carry. All Golf boats had left Soviet service by 1990, all have been since disposed of. According to some sources at least one Golf-class submarine is operated by China, Project 629 was started in the mid-1950s along with the D-2 missile system which it was to carry, and was based on the Foxtrot. 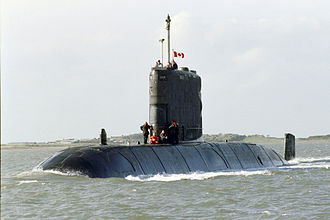 The submarine was designed to carry three R-11FM ballistic missiles with a range of around 150 km. These were carried in three silos fitted in the rear of the sail behind the bridge. They could only be fired with the submarine surfaced and the missile raised above the sail, only the first three boats were equipped with these—the remaining ones were equipped with the longer range R-13 missiles. The first boats were commissioned in 1958 and the last in 1962, the boats were built at two shipyards —16 in Severodvinsk and 7 in Komsomolsk-na-Amure in the Far East. Fourteen were extensively modified in 1966–1972 and became known as 629As by the Soviet Navy, the major change was the upgrade of the missile system to carry R-21 missiles which could be launched from inside their tubes with the submarine submerged and increased speed. In years a few were converted to test new missiles, all boats had left Soviet service by 1990. In 1993, ten were sold to North Korea for scrap, according to some sources, the North Koreans are attempting to get these boats back into service. 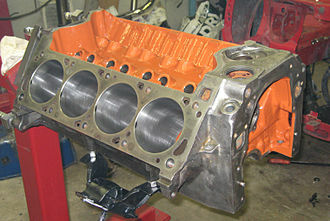 In 1959 the project technology was sold to China which built a modified example in 1966. The entire crew of 98 was lost and the vessel sank with three nuclear missiles as well as two nuclear torpedoes. The United States recovered parts of the submarine in July 1974 from a depth of around 5 km, two nuclear submarines that had been facing retirement, USS Halibut and USS Seawolf, were rebuilt and pressed into service as deep sea search vehicles. Project 629, Original design received NATO reporting name, Golf I, dimension are 98.4 m for length,8.2 m for beam and 7.85 m for draft. The Type 052B or Guangzhou class destroyer is a class of multirole missile destroyers built by the Peoples Republic of China. Two ships have been built, with Guangzhou and Wuhan both being commissioned into the Peoples Liberation Army Navy Surface Force in July 2004. This class features a stealthy hull and significantly improved air defence systems and these ships represent a major improvement over older generation vessels and reflects the PLANs need for more modern destroyer designs. The Type 052B multirole missile destroyer was the first Chinese-built warship capable of air defence. By the time of Type 052B, China had already gained experience from Russian systems. 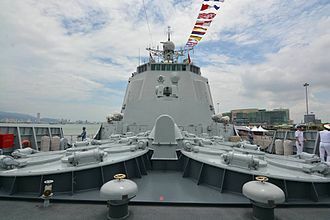 Most military analysts expect the Guangzhou class to be similar to the Russian Sovremenny class destroyer in terms of general performance, the modern capabilities of this vessel demonstrate the Chinese desire to build up their blue-water navy and ability to project force into deeper waters. This shows a strong internationally-influencing naval force is being developed and will be a force to contend with in the future, the displacement of the Type 052B is about 5850 tons standard and 6500 tons full load. The ship features a low point design and combines this with radar absorbing paint to reduce radar signature, the ships funnel incorporates cooling devices to reduce infrared signatures. The stern flight deck can host a Kamov Ka-28 ASW helicopter, the chief designer of this class is the academician Mr. Pan Jingfu, who is the designer of the previous two classes. The Type 052Bs incorporate an array of weapons systems. She is equipped with two missile launchers, one forward and one aft on the ship and these launchers can launch the SA-N-12 Grizzly Surface-to-Air Missile. Each launcher has two dedicated MR-90 Front Dome fire control radars and carries a total of 48 missiles, for guns she has a 100mm cannon in A position and this was the first PLAN vessel to be equipped with a Close-In Weapons System. For sub-surface threats, she is armed with 2 triple 324mm Yu-7 Anti-Submarine torpedo tubes, the Type 052B is equipped with four 18-barrel Type 724 chaff launchers for part of its self-defense suite. The Arethusa class was a class of four light cruisers built for the Royal Navy between 1933 and 1937 and that served in World War II. It had been intended to construct six ships, but the last pair and Minotaur were ordered in 1934 as the 9,100 ton Town-class Southampton and Newcastle. The Arethusas were a version of the Amphion group of the earlier Leander class, having the unit machinery layout. They were to be capable of acting as a fleet cruiser, the protection scheme was the same as the Leanders but was generally thinner to save weight. This allowed six Arethusas to be built for every five Leanders within the constraints of tonnage allowed under treaties in force, welded construction was widely used for the first time to save weight, over 250 tons being cut off the original specification. They were armed with six BL6 inch Mark XXIII in three twin mountings Mark XXI in A, B and Y positions. 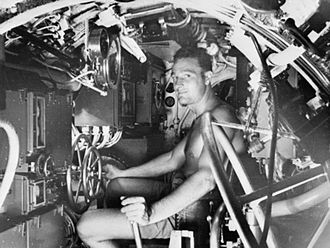 Triple 21-inch torpedo tubes were carried abreast the funnel, the reduction in beam had reduced training space resulting in the omission of one tube vis-à-vis the Leanders. The secondary armament was four QF4 inch Mark V on single mountings HA Mark III, the 4-inch magazine was retained in the position of the Leander class well forward, but the guns themselves were moved well aft. As a result, the 4-inch shell and charge had to be transported 200 feet along the ship to reach the guns. In Penelope and Aurora eight QF4 inch Mark XVI on four twin mountings HA/LA Mark XIX replaced the single mounts, galatea received similar alteration before the outbreak of war. The light armament consisted of eight 0.5 inch Vickers machine guns in two quadruple mountings, a rotating catapult for a float plane and a derrick were fitted between the funnels. It had been intended to carry an aircraft aft. Aurora completed without aircraft facilities, and had a deckhouse for accommodation in lieu for service as Commodore, Aurora received an Unrotated Projectile mounting and eight QF2 pounder Mark VIII in two quadruple mountings Mark VII in the summer of 1940. Radar Type 284 was added to the main armament director for taking ranges and bearings, in August of the same year she received six single 20 mm Oerlikons and two quadruple 0.5 inch machine guns. The Peoples Liberation Army Navy Submarine Force is the submarine service of the Peoples Liberation Army Navy. It consists of all types of submarines in operational service organized into three fleets, the North Sea Fleet, the East Sea Fleet, and the South Sea Fleet, currently, PLANSF operates a fleet of 68 submarines which include nuclear as well as conventional submarines. Its surface branch counterpart is the Peoples Liberation Army Navy Surface Force, the PLAN currently operates two classes of ballistic missile submarines, with a further class under development, Type 096 submarine - In development. Type 094 submarine -4 in active service, Type 092 submarine - 1in service Chinas first ballistic missile submarine, Type 092 submarine, was laid down in 1978, launched in 1981 and commissioned by 1983. Its primary weapon is the JL-1 SLBM, with 12 launch tubes, the JL-1 missile was not ready until the first successful test launch of the missile from the Xia in 1988. Previous launch attempts from 1985 had failed, the missiles short range only permits the 092 to launch its missiles against regional targets. Striking targets far away require the submarine to travel closer to enemy waters. The Type 094 submarine is believed to have influenced by Russian assistance. 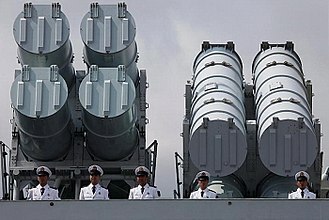 It features 12 launch tubes for the longer ranged JL-2 missile, the 094 would be permitted to patrol nearer Chinese waters, with the ability to launch its missiles against continental US targets. China was the first Asian country and the 5th globally to design, build. The PLAN understands the value of nuclear submarines and the doctrine surrounding them, the PLAN currently has two types of nuclear-powered attack submarines in service, Type 095 submarine -1 completed to enter service. Type 093 submarine -2 in active service, Type 091 submarine -3 in active service. Nuclear submarines have been envisaged in the PLAN since the 1950s, despite ambition and a long history of development, the acquisition of nuclear submarines has been a difficult process. The Cultural Revolution greatly disrupted nuclear submarine development, the Sino-Soviet split prevented any Soviet assistance in nuclear propulsion, and these propulsion problems have been troublesome to this day. The Project 633 class is a class of Soviet diesel-electric submarine, built in the 1950s. 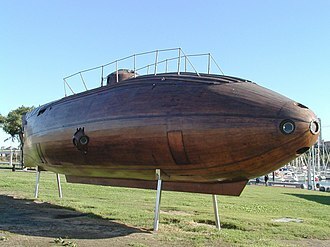 At the end of World War II, the Soviets obtained several German Type XXIs and these technologies assisted in the design of the Zulu- and Whiskey-class. Further improvements on the led to the Romeo class, which was designed by Lazurit Central Design Bureau. Only 20 of the Soviet Unions originally intended 56 were completed between October 1957 and the end of December 1961 because of the introduction of the submarine into the Soviet Navy. By todays standards Romeo class submarines are considered obsolete, but they still have value as training. Several navies operate or have operated Romeo class submarines and these vessels are no longer used as combat vessels in the Russian Navy, although one or two remain in service as immobile training facilities. China has operated an estimated 84 of the Type-33 submarine during the Cold War, most have been scrapped, but 13 are still in use for training. North Korea operates 77 Romeo class submarines, seven were directly imported from China between 1973 and 1975, and the remainder locally assembled with Chinese supplied parts between 1976 and 1995. One apparently sank in an accident in 1985, four Chinese imported units are based on the western coast. Bulgaria operated one Romeo class submarine until it was decommissioned in 2011, syria has decommissioned the three Romeo class submarines that it imported from the Soviet Union. Egypt operates four of an original eight Romeo class submarines that are upgraded variants of the Chinese design, algeria has decommissioned its two Soviet Romeo class submarines. Under the 1950 Sino-Soviet Friendship and Mutual Assistance Treaty, the Soviets passed to China the documentation necessary to produce Romeo submarines in 1963, the Chinese variant is known as the Type 033 Romeo. A total of 84 Type 033 submarines were built in China from 1962 to 1984, the Chinese Type 033 incorporated some improvements over the original Romeo, including noise reduction of 20 dB. 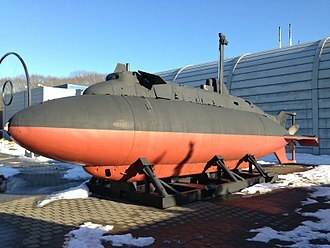 Today most of the Type 033 subs have been retired or preserved, the construction program came to a complete stop when the USSR stopped delivery of parts following the Sino-Soviet split. USS Raleigh, an Omaha-class cruiser, in 1942. Note casemates at bow. Gun transportation at Kiangnan Arsenal in Shanghai, during the Self-Strengthening Movement. S-2 and Alexander Marinesco (commander of S-13) on a Moldovan stamp. Sea trials of S-1. Protection of artillery is clearly visible. Artillery itself had not yet mounted.